Modern gardens have a very clean, serene look about them which appeals to the minimalist in all of us at the end of a hectic day. Their lines are similar to those used in formal gardens; they are based on geometrical shapes with straight or angular lines rather than soft curves. Bold colors are used as accents. Their focus is more on the “hard goods” such as retaining walls, patios, outdoor furniture, and sculptures. Materials such as glazed tile, metal, stone, and concrete are commonly used. The plant palette is very limited in modern gardens. Since the plants are considered an extension of the architecture of the house, long hedges, large groupings of a single kind of plant, and architecturally valuable specimen plants are used to create a sense of harmony with the hardscape. The natural tranquility of an Asian garden offers the ideal space for relaxation and reflection. Perennials can be combined with other kinds of plants such as annuals or bulbs in large containers. Dramatic effects can also be achieved by using a single variety to fill a large container on its own. 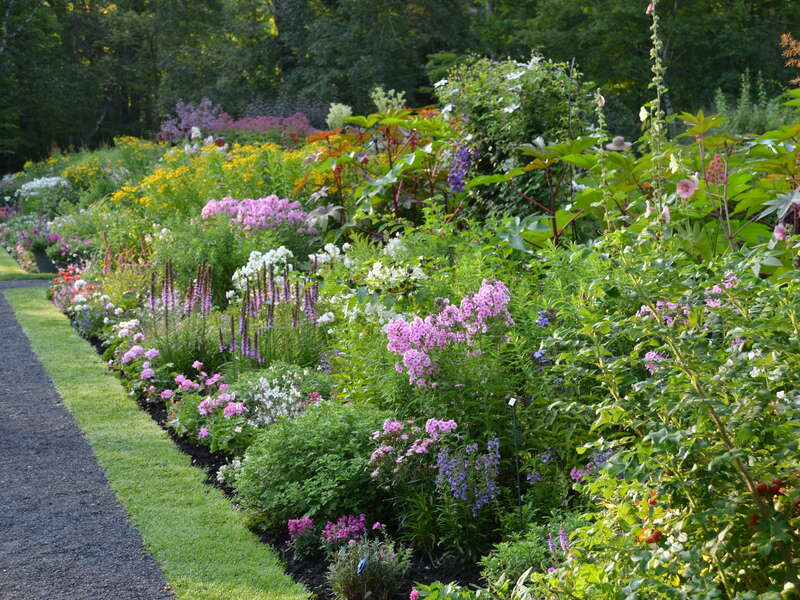 Often characterized as free-form or random in their design, cottage gardens have an informal, welcoming air about them. A majority of people might classify their garden as “eclectic”, or containing a combination of styles and types of plants.